DON’T TOUCH! Saddleback Caterpillars STING and should be AVOIDED . Brown body under green “sadddle blacket” and brown stpot on top as the “saddle”. 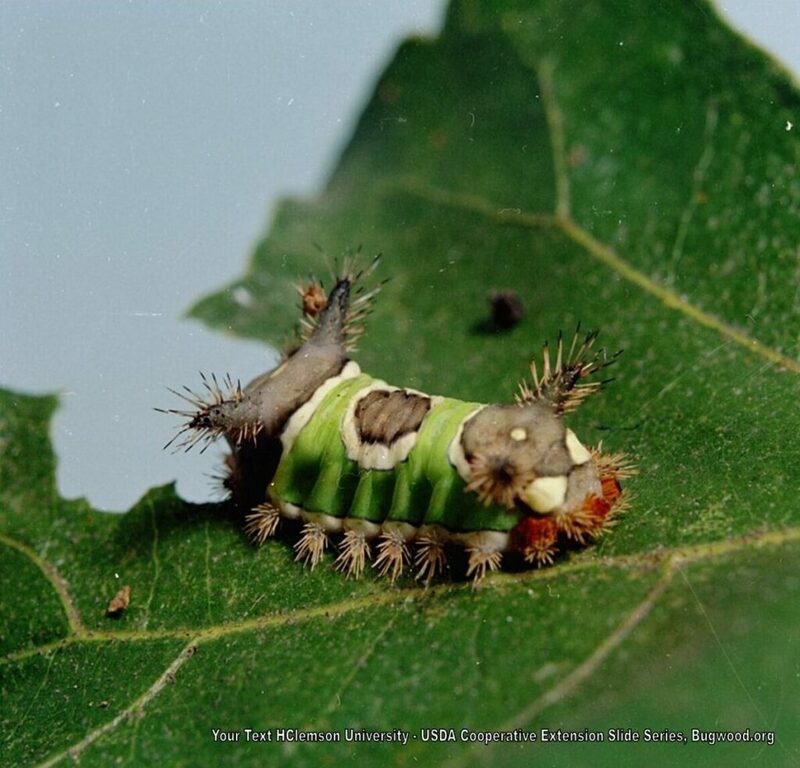 Saddleback Caterpillars are leaf eating caterpillars found in deciduous forested areas and in the Western United States and east into Missouri and Texas. They feed on leaves of Apple, Citrus, elm, palm, sunflower, grape, maple, oak, linden, aster, blueberry, dogwood, and other plants. Exterior infestations of Saddleback Caterpillars require treatment of infested plants. When Saddleback Caterpillars are found INSIDE, it’s usually because they were brought in with potted plants.